Significant thinning or loss of hair can have a detrimental impact on the individual’s overall quality of life. Men and women with unhealthy hair often suffer from emotional issues and low self-esteem. The condition may also be indicative of an underlying medical problem. As per the American Hair Loss Association, two-thirds of American men experience some hair loss by the age of 35 and about 80 percent of them have significant thinning of hair by the age of 50. Approximately half of women over the age of 50 also suffer from serious hair loss. Apart from genetics and lifestyle, certain medications and infections can also contribute to the condition. You will find a variety of hair loss treatments in the market today ranging from herbal products to surgical interventions. However, none of these solutions have succeeded in producing dramatic results in a consistent manner. Researchers are, therefore, looking at three-dimensional (3D) medical printing and bioprinting to find products that really work, and their efforts seem to be paying off. AdviHair, a subsidiary of London-based AdviCorp PlC, has developed a unique set of cranial prosthetics known as the CNC Hair Replacement System. The company uses 3D printing technology to create implants that conform to the patient’s scalp measurement and skin color. The product can help conceal partial or full scalp baldness associated with Alopecia. Once the prosthetic scalp is placed in position, it behaves like regular hair. You can swim, wash and style it the way you want. The product is expected to benefit more than 6.8 million Americans suffering from Alopecia, an autoimmune disorder that occurs when the patient’s immune system destroys his own hair follicles. The prosthetics are ideal for individuals who cannot undergo transplantation or other Alopecia treatments. Cosmetic giant L’ Oreal has collaborated with French bioprinting company Poietis to print hair follicles that will enhance their understanding of hair biology. The process involves creation of a digital map that indicates the exact position of the living cells and other tissue fragments. The digital map is used to generate instructions for the printing process. A pulsing laser bounces off a mirror through a lens and knocks one micro-droplet of the bio-ink into its position. Approximately 10,000 such droplets are deposited each second. L’Oreal is hoping to use this technology to create products that will treat and prevent hair loss at a realistic price. Although 3D printed cranial prosthetics and hair implants are gaining popularity, many of them take several hours to print. 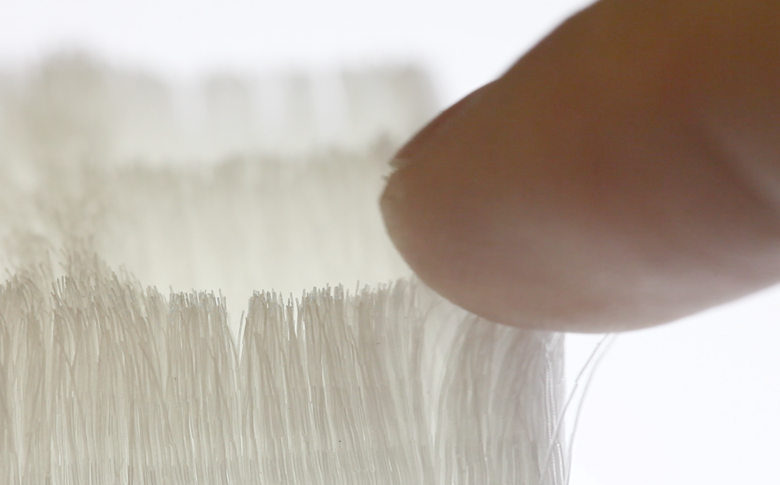 Researchers at Massachusetts Institute of Technology’s Media Lab are, therefore, working on a software platform called Cilllia that allows users to print hair-like structures within minutes. Additionally, researchers at the institute are looking beyond the aesthetics to explore other major functions of the follicles including adhesion, sensing, thermal protection and actuation. Hair loss can be stressful and overwhelming, and the treatments can be expensive. Many patients experience poor results in spite of their best efforts. Scientists are now using 3D printing to overcome the drawbacks associated with conventional treatments, and their recent success is offering hope to the millions of hair loss sufferers across the globe.